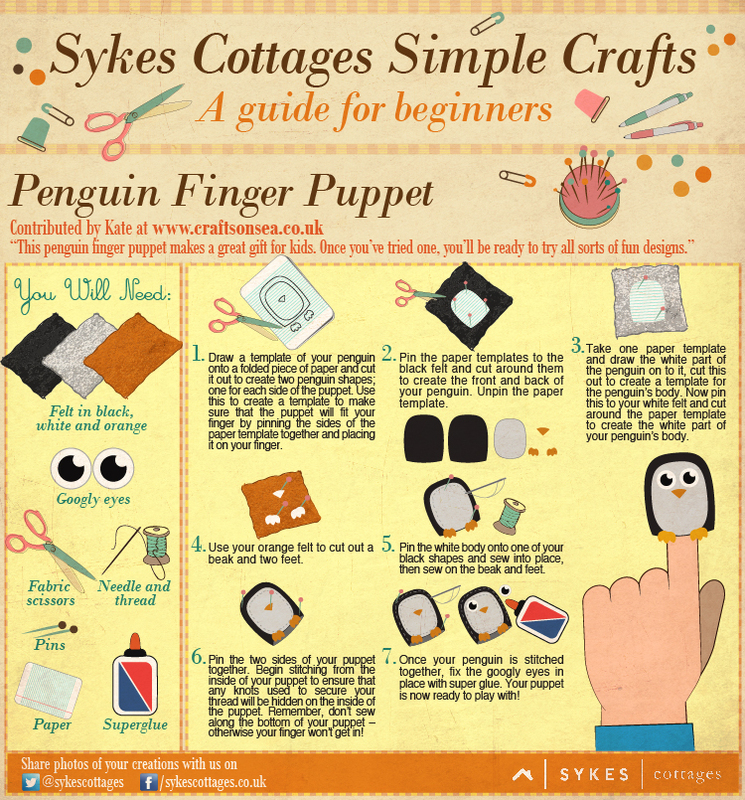 Today I have some adorable Penguin Finger Puppets to share with you all, made by my talented friend Kate from Crafts on Sea for Sykes Cottages. 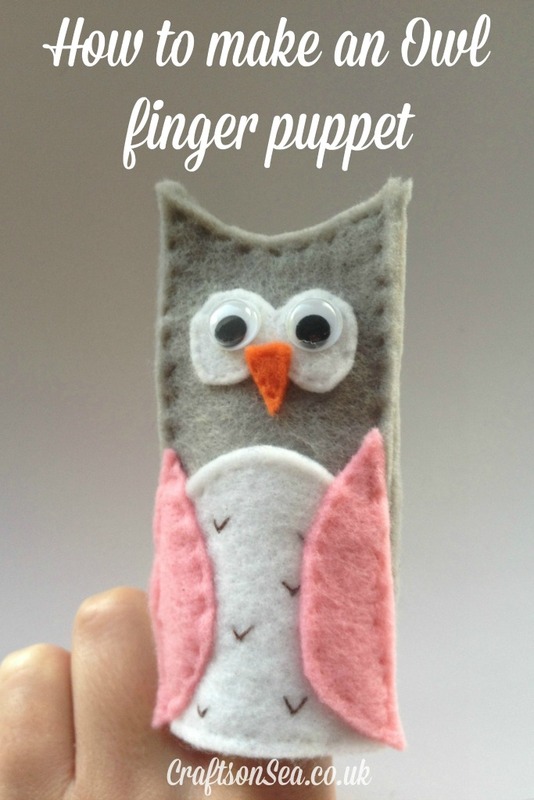 I keep meaning to get more adventurous and try a few sewing projects, as it’s not a form of crafting I’m so confident in but this simple project looks like a great option for beginners like me and makes a fun toy for your children to keep and play with once you’re done with the craft! 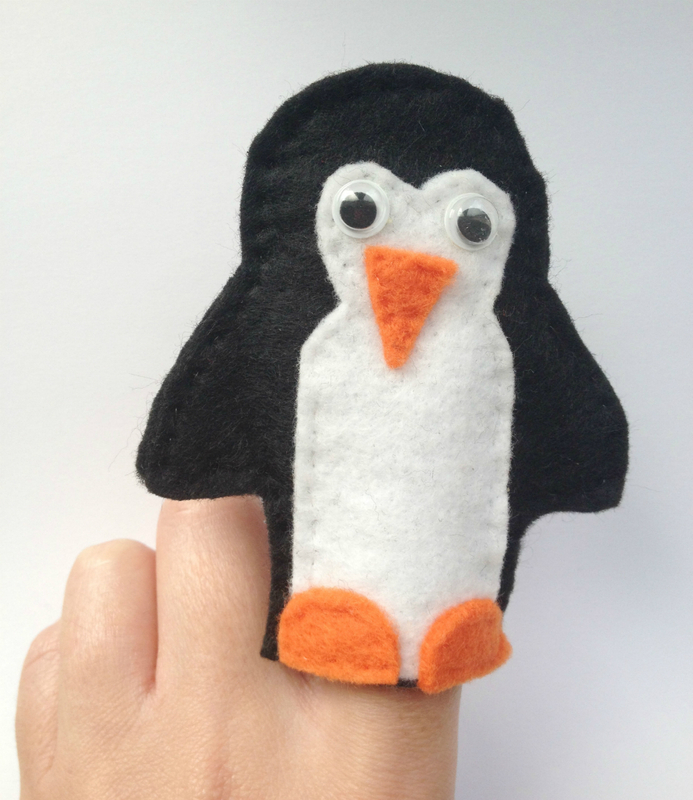 Penguin Finger Puppet from the Simple Crafts Guide for Beginners by Sykes CottagesYou can see each step in more detail here if you need further guidance. You could also adjust the colours and make a rainbow of penguins to use for colour matching activities – the possibilities are endless. 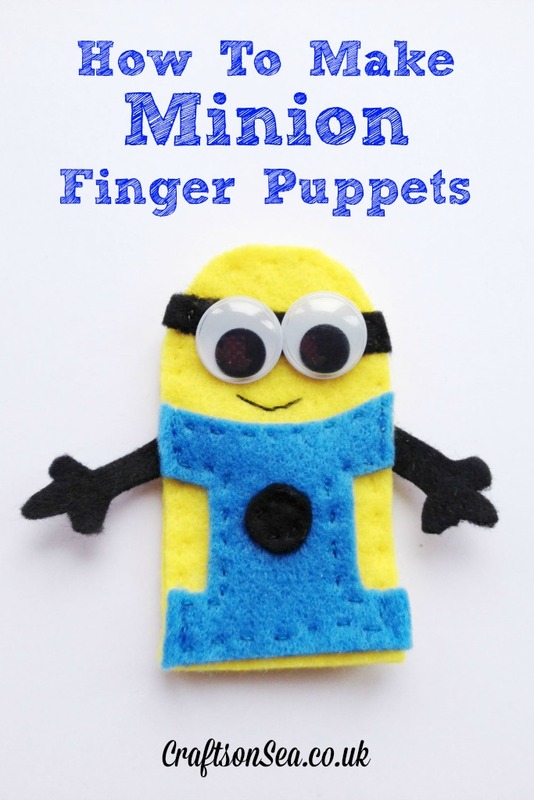 Kate also has some other fun finger puppet designs on her blog, so you could make a whole collection! Follow Anna – In The Playroom’s board More Crafts & Home on Pinterest. These are so cute! I’ll have to make some for the kiddos over half term!